Every Monday I use my PMD Personal Microderm* to help keep my skin looking bright and again it helps keep any impurities lurking under the skin away. You can only use this once a week as it breaks down your first layer of skin helping the new layer come through which helps give you a nice healthy glow! I have mega sensitive skin and this does not irritate it at all which I think is amazing! I have been using this for about 2 months now and I can definitely see a huge improvement in my skin and its also helping to keep away any spots that feel the need to pop up on my face. Definitely an amazing product and you can read all of my thoughts about it here! Normally to finish up my routine I'll quickly swipe around my face with some Botanics Micellar Water not so much to remove any makeup because that's long gone but this contains brightening hibiscus which helps basically brighten your skin and leave it glowing. Surprisingly it does work and when you wake up in the morning your skin does have a glow to it which is so nice as mine tends to be quite dull especially in the colder months. Again you can read all about this product here. Then to finish up I will apply my Botanics Night Cream which is my absolute favourite moisturiser as it's so thick and smells amazing and just feels really luxurious! I have been using this for months and months now and I swear this is like my 6th tub of it I just cannot replace it as it's too amazing! On top of that I just apply my Botanics Hydrating Eye Cream because ain't nobody got time for bags unless they're chanel! Again this product is something I adore and it's nice and cooling when applied around the eyes, I suffer with really bad hayfever and my eyes can feel quite tight and dry so this definitely helps soothe the skin around them it also smells amazing like the rest of the range! Sometimes I'm lazy and want to apply a facemask but don't want the hassle of the messy application and then having to remove it and so when that happens I tend to use some sheet facemasks! Ones I'm loving at the moment are the Nature Republic Sheet Masks*. These leave your skin feeling so moisturised and hydrated and because they're a sheet mask they leave no mess and I really enjoy using them! Now I'm off to apply all of this to my face and hopefully this will be a little reminder to you not to forget to also do your skincare routine today and start the week off with treating your skin right! 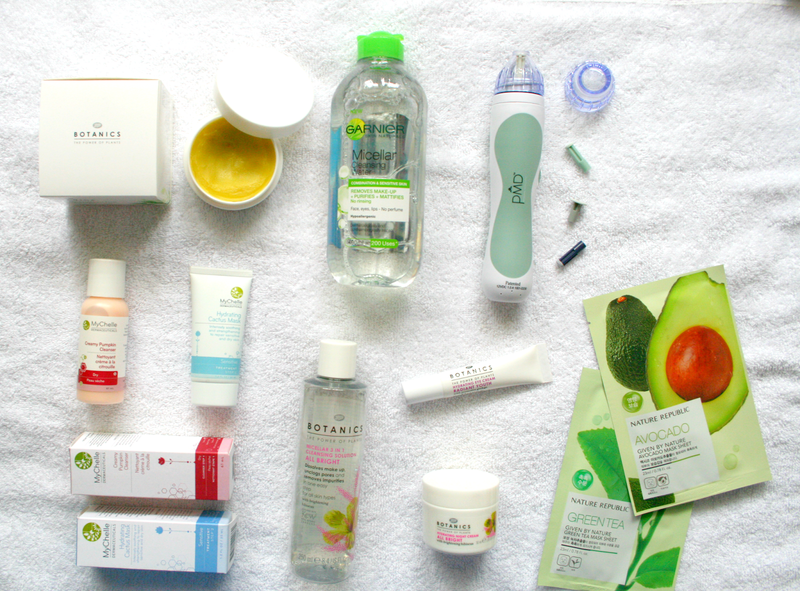 I always love having a nose at what skincare bloggers are currently loving so i really enjoyed this post :) Im a huge fan of the garnier micellar water too, it makes makeup removal so quick and easy.